Let’s talk about my Fall Centerpiece. I love it. I have all the heart eyes for it. In fact, I love it so much that I took a picture of it, popped it into the Waterlogue app, added some text, then framed it. 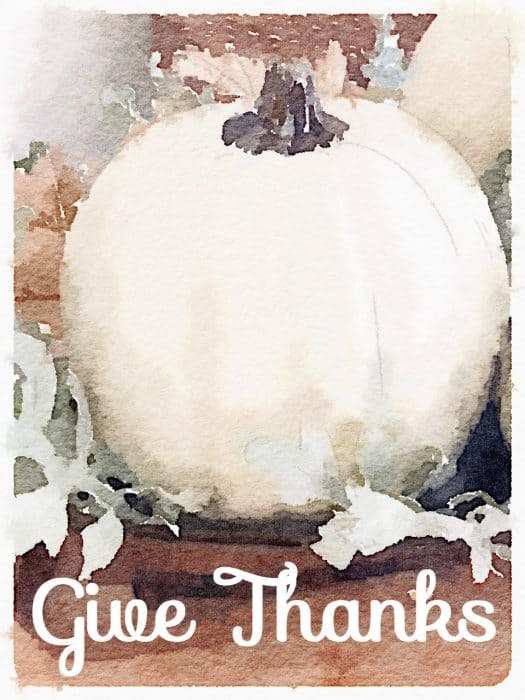 If you follow me on Instagram you will have seen mention of the Give Thanks Printable before. You asked for me to provide it for FREE on the blog and so here it is! Ask and you shall receive, right?! I hope you’ll print it up and frame it like I have. It looks great on a sideboard or hung up on the wall. Perfect for the upcoming Thanksgiving holiday!